The 59-year-old actor worked with the brunette beauty in the 1989 comedy film 'Look Who's Talking' and two sequels, in which they played Mollie and James Ubriacco, and he is "excited" to be working with Kirstie again 24 years later. John said: "I'm excited about working with Kirstie again, in addition to such terrific talent on the show. It's always a treat to be surrounded by people you respect so much both personally and professionally." Kirstie, who plays lead character Madison Banks in the series tentatively titled 'Kirstie's New Show', is also an executive producer for the new comedy series and also cannot wait to work with John again. 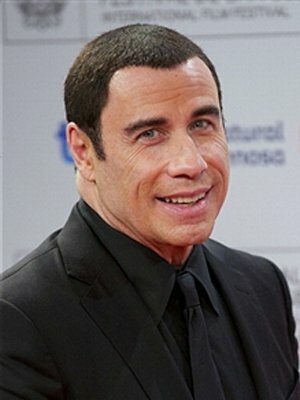 The 62-year-old actress wrote on Twitter: "John Travolta is gonna be on our new show KIRSTIE!!!!!! SOOO excited to work together again!!! We are gonna have a BALL!! (sic)"
The show focuses on the life of Madison who is shocked when the son she gave up at birth comes back into her life. Producers will begin shooting scenes in early August and the show will debut on December 4 on TV Land, with John's appearance coming later in the season.